Multiple activity staff divided by level of care. Activities include: bridge, opera outings, shopping, happy hour. Live entertainment weekly. Featured artists monthly. Continental breakfast offered on each floor. Staffed with RN and 3 LPNs. 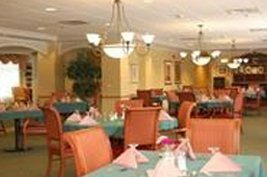 NO LONG TERM CARE IN SKILLED NURSING. ONLY REHAB. I am so happy that the hospital referred our family to Brookdale Salt Lake City. My aunt had a stroke and we didn’t think she would ever be able to go home again. The staff were very good with her and her therapist was great as well.